Please allow 10 business days before shipment. NON-RETURNABLE. 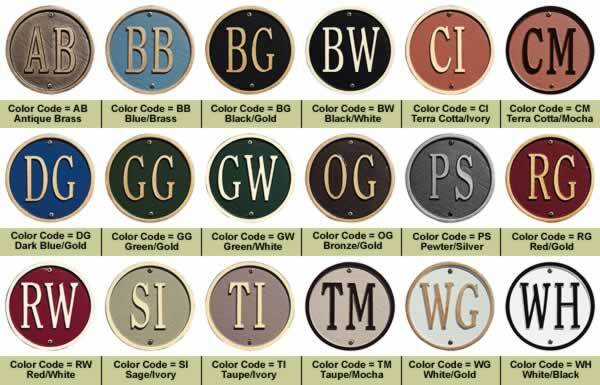 All Whitehall Address plaques are custom made per order for your specific address. Due to their customized nature they are non-returnable. *Uses capitalized first letters on second Line. If letters and numbers are mixed on the first line they will be different sizes. For Example: if you have an address of 101B in the number area, the numbers will be nearly an inch taller than the letters. We can't make the letters larger, but upon special request we can make the numbers smaller to match the letters - this however does make the address plaque look noticably different than shown in the photograph. 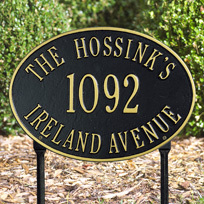 The Arch Marker is one of our best selling address markers. 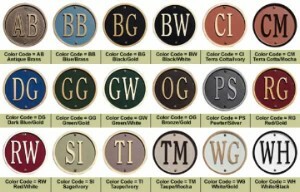 Arch Address Markers are available in a variety of sizes and colors. Be sure to check out the other styles of address plaques below in the related products section to view other arch marker style plaques. Whitehall Address Plaques are crafted of rust free recycled aluminum. Paints have been specially formulated and weather tested to withstand the harshest elements. As each address marker we sell is personalized for each order. Please allow at least 10 business days before your order ships. Please plan ahead and allow yourself enough time when ordering. Whitehall Address Plaques are shipped with mounting screws for wall mounting applications - with a lawn stake for lawn mounted address plaques. 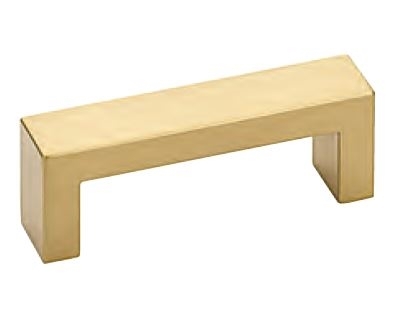 For most applications sufficient hardware is supplied, however some special prep may be required depending on where and how you plan to install your address plaque.